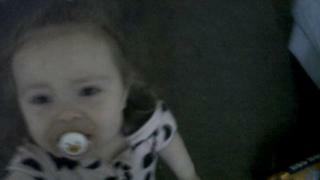 The parents of a two-year-old girl who died of malnutrition have each been jailed for six years and four months. Lauren Wade was emaciated, dirty and riddled with head lice when she died in March 2015. 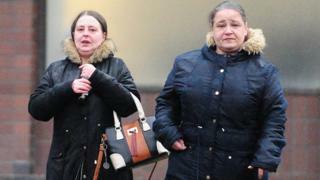 Margaret Wade, 38, and Marie Sweeney, 37, had admitted the wilful ill-treatment and neglect of Lauren between June 2014 and March 2015. She added: “When your daughter died, your house was in a shocking state. The chairman of Glasgow’s Child Protection Committee, Colin Anderson, called the case “an appalling tragedy”. Lauren was said to be “plainly unwell” and “emaciated” for days before she died. On 20 March 2015, a 999 call was made after Lauren was found to be “unresponsive” at the family’s flat in Sighthill, Glasgow. The child was rushed to hospital but was pronounced dead about 30 minutes later. Wade’s QC Brian McConnachie said her mental health issues were “partially responsible” for the crimes. Lady Stacey went on to point out that advice in helping care for the children had been offered in 2007 then again in 2014, but was not taken. Mr McConnachie replied: “She fully accepts that. Such was her internal difficulties, she did not find it easy to accept outside help. Sweeney’s QC Ian Duguid said she had not been “trying to hide” what was a “very sick or malnourished child”.